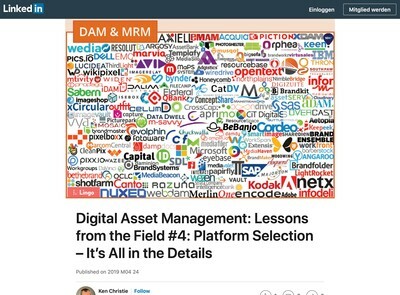 As we did last year in 2011, this week we will take a look at the Digital Asset Management (DAM) industry and try to predict some of the key themes that will emerge over the forthcoming year and beyond. This article is divided into two sections: the DAM industry and DAM technology. The technology aspect will be covered tomorrow, today we examine how the DAM business world is likely to play out in 2012. The source material for this article has been derived from my own work as an independent DAM consultant, my colleague, Nick Brookes and various industry associates on the vendor and client side. I would urge readers to not make any major investment decisions on the basis of this article alone but to carry out their own in-depth research into the DAM market also. The wider economic outlook remains poor for many outside the IT/software industry. Last year the European sovereign debt crisis was not the major issue it is now (although arguably it was ‘in the post’ from the point governments were forced to bail out the banking sector in 2008/2009). While the major impact is in Europe, demand for goods (including software) exported by non-European nations is likely to be affected and this will reduce the revenue they are able to achieve also. All major government economic stimulus programmes have ended via one means or another so it seems unlikely that the DAM sector can expect a resurgence of the public sector and in many cases, that market may decline still further as fiscal tightening starts to take its toll. The election in the United States in 2012 is likely to add further uncertainty into the mix and while the US had a stimulus programme last year, desire to restore the United States’ AAA credit rating is likely to see draconian austerity programmes (to varying degrees) being supported by both major parties whether their supporters want them or not. While these global macro-economic trends do not necessarily impact the technology sector, the market cannot avoid the consequences of it for an extended period. Although organisations might consider the purchase of ECM/DAM to continue to be important in 2012, diminished investment capital will require many to try to do more for less and bring price pressures of one form or another. Since 2008, many tech companies, including those in the ECM sector have ridden out the ongoing economic storm and even prospered as a result of a combination of factors. One of them has been the momentum from the resurgence of the internet and web technology since the post-dot com bust period as widespread broadband access made web applications a more practical proposition. The other has been the replacement of analogue media with digital equivalents and is arguably the reason why DAM systems have become considered ‘essential’ purchases for enterprises of all sizes. However, the market is entering a mature phase now where new software purchases are either replacements for existing products or made by late adopters who are more price sensitive than those who have made their move earlier in the business cycle. In 2012, inertia and lack of funds to replace something existing that essentially works (even if not brilliantly) will be an issue faced by vendors. Even where they have the support of an internal sponsor, many staff who are keen to replace or refresh DAM systems (or invest into one) will be challenged by CFOs and/or senior managers to explain why they can’t just ‘make do’ with what they already have. As we will discuss later, however, this may also create some unexpected market opportunities but they might not be ones that traditional or mid-market vendors are able to exploit. Due to cost pressure, there will be a strong motivation to, at best, incrementally extend what people already use unless it offers major cost benefits, not only from the direct software cost but also the implementation cost: briefing the new supplier, training staff, internal communications programmes, data migration, consulting and other non-externalised procurement costs. There are likely to be hiring freezes in many large organisations and existing staff maybe less eager to take on more new projects when they have their hands full with current ones. The inertia and general malaise encumbering many IT departments might potentially be favourable for Cloud vendors, but it will put them in direct competition for budget with IT departments themselves (with some consequences which we will assess later in this article). Facing their budget being threatened, one would expect a significant increase in the scrutiny of Cloud vendors and their chosen platforms. This will translate as increased bureaucracy for those vendors who supply to customers where the IT department is closely involved in the procurement process and is likely to lead to more friction between Cloud vendors and IT departments. Prospective buyers will need to be especially rational and calculating about their purchase decision to ensure they are not being mislead by FUD (Fear Uncertainty and Doubt) spread by either group of stakeholders. To counteract potential loss of control and budget, many IT departments might consider implementation of DAM systems themselves. We will discuss this in more detail later, but we expect to see SharePoint and open source tools being used a lot more to often place IT departments as direct competitors with vendors for the budgets of their colleagues who are looking to implement Digital Asset Management. Due to the pressure on in-house IT resources, we can foresee many managers from other departments who might have previously gone to their internal IT department getting frustrated with increased bureaucracy and electing to go an arrange provisions themselves with the IT department not being consulted. This has been feasible for a number of years already and is not unique to Cloud but the delivery process has become far more industrialised than it was for ECM/DAM products and many Cloud vendors allow sandboxes and trial accounts to be set up immediately or within a very short space of time. In addition, the scope of what is offered at the cheaper end of the market has increased as vendors have attempted to find new methods to differentiate themselves and compete with more expensive solutions. With limited budgets available, we would expect many users to start making use of commodity services such as Box.net to provide them solutions which while they are not pure DAM, are good enough to provide what they require. Channel partner ecosystems will help to fill out the missing elements of their service offer and the price advantage will present a compelling proposition. Many end users might start with something like this as a temporary stand-in for a more sophisticated DAM and then decide that it is sufficient for their needs anyway. DAM users will need to take care with these solutions that the price advantages do not come at a higher cost later when they want to expand the number of users or bring some elements back in-house. Also, legal compliance could prove difficult (in terms of what assets they can store on them). Last year, it was revealed that DropBox were not, as they originally claimed, encrypting user data and anything uploaded could potentially be viewed by those with access to their servers. We predict at least one major incident where sensitive data from a major organisation has been stored on a commodity service with less than perfect security practices. 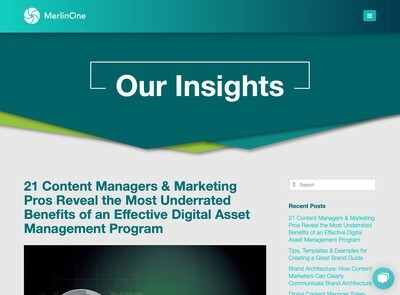 For the routine type of marketing communications assets that DAM users often wish to store, however, they will increasingly be viewed as satisfactory. The lack of funds available for investment into new technologies and partial paralysis induced by the amount of choice available will continue to encourage some end users to try to satisfy all their needs with a single product. This is less of a prediction and more a statement of fact about the market now but we expect to see this trend getting worse in 2012 as money becomes tighter. 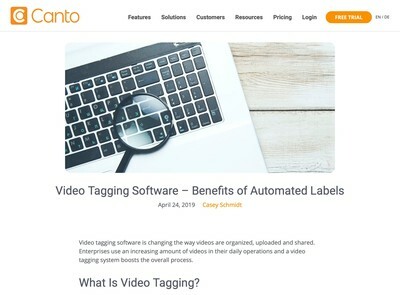 The increasing volume of digital media will provide core DAM buyers like managers of photo or video libraries with more tangible reasons that appeal to the quantative fascination that CFOs tend to have (e.g. “the number of photos we handle has increased by x% since 2010”). But at the same time, other related business functions, especially in larger marketing departments will take the investment into a DAM system as an opportunity to get their own pet projects loaded on to the requirements spec also and a common complaint will be to question why funds are being spent on a relatively small section of what the business does overall. In their eagerness to close business, many DAM vendors might make this situation worse by over-promising or inflating their product’s capabilities. Although end users will express their agreement with the proposition that the system spec is tightly defined and does not try to do too much, when it comes to making hard choices about what to include or exclude (in addition to the political implications of doing so) many will consent to increasing the scope and heading DAM projects further into the functional stratosphere and causing ongoing delays as a result. We expect to see RFPs being released with long lists of requirements that compete with each other and vendors who are asked to participate in them may be frustrated by multiple rounds of proposals, demonstrations and requirements that don’t go anywhere in 2012. Corporate procurement departments will be under exceptional levels of scrutiny this year and to paraphrase the famous line people used to use about IBM, it might be a case of “no one got fired for not buying anything “. Those end users that are able to constrain the scope of their requirements and get in ‘under the radar’ (in terms of budgetary threshold) are likely to progress further in 2012. Noting the points above about vendors competing with IT departments, another trend we have observed in 2011 which we see increasing in 2012 is what might be called ‘DIY DAM’. This is where non-vendors leverage open source DAM systems (with or without the assistance of the original developers) to realise their own DAM solution. Typically this is carried out by IT departments, but also system integrators, consultants, agencies and other intermediaries who might want to satisfy the demand for DAM systems but without either developing their own product or having to pay a vendor to do it all for them. There continues to be growth in the Cloud as a hosting platform and increased interest in ‘Cloudbursting’ where Cloud providers can be used to quickly increase capacity. One of the major factors contributing to this trend is the introduction of HD video and the increased demand for DAM systems to handle video as well as static media like images. While many end users might have been initially sceptical about the Cloud, the scaling advantages are undeniable, especially in an era of tighter budgets where capital investments into large scale storage facilities are difficult to get approved. Until recently, end-users purchased a packaged DAM solution from a SaaS vendor who probably used the Cloud or outsourced hosting facility to allow them to scale to meet demand. As well as using open source systems to avoid the need for a dedicated vendor, we expect a significant increase in potential interest in DIY DAM SaaS also where end users will take open source products and host them with Cloud providers to offer many of the SaaS benefits but without the need for a vendor’s additional costs (in the form of margins, licences and support costs). As we will discuss later, they may also be assisted in that objective by the Cloud Platform providers themselves. This is an ongoing trend that has been in play for a number of years now. Increasingly, end users are doing more with their WCM or ECM solutions and looking to retain a single platform for everything rather than the need to start another vendor relationship with its associated round of RFPs, SLAs and all the other complexity and cost associated with having separate solutions. Simultaneously, WCM and ECM vendors are noting the potential market opportunity in DAM and how users want to access digital assets directly from within their WCM rather than go to a separate application, download the file and re-upload it. To meet this demand, WCM vendors are likely to substantially improve their Media Library capabilities and many will offer the same level of functionality as lower end DAM systems. We would expect many WCM vendors to begin promoting their products as being capable of handling DAM requirements without the need for further investment into a dedicated solution. This potential cost benefit may appeal to some users and reduce demand for pure play DAM solutions as a result. 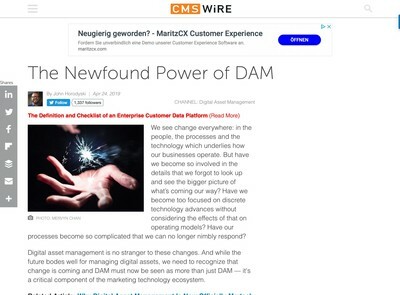 DAM users who already have DAM systems will increasingly want vendors to enable integration with their WCM or ECM tool of choice. The proliferation of choice and numerous vendor options will increase price pressure on vendors. The number of available alternatives continued to rise in 2011, but the pace has slowed. Also, the more established vendors are evidently gaining traction against the latecomers. Those that already have momentum in the market are likely to retain it because of the unwillingness of users to replace existing systems unless they can obtain a significant cost reduction to make the risk and hassle of changing suppliers worthwhile. Our expectation is that in 2012, there will be a reduction in the number of new solutions that are not built using something else that already exists. If one were to commence development of a DAM system in 2012, the level of sophistication is such that while it would be feasible for a large or well funded vendor to build their own, it would be faster and probably cheaper to buy an existing product. The situation for acquisitive vendors (or investors) is becoming similar to that of end users where buying is now cheaper than building. Before one starts buying up stocks in DAM vendors, however, it should also be noted that the numerous alternatives outside the DAM sector which present significant competitive threat in themselves. It is entirely possible that before the end of 2013 a very major player will have got involved in the market and rendered most existing DAM solutions as over-priced and under-powered (we would include all the current open source systems in that definition also when one considers the support and maintenance costs as well). It is common to define DAM systems as being one of three types: Enterprise or ‘On Premise’, SaaS or Open Source. This definition isn’t popular with Enterprise or Open Source vendors as most will point to SaaS or Cloud options they can offer as well. Enterprise vendors will recognise that often IT departments are now being required to scale out into the Cloud and want software that will help them do that. So expect to see lots of additional options for storing assets and more advanced ‘web clients’ from those that still use desktop apps as their main interface these might also be joined by dedicated tablet interfaces to more clearly differentiate them from pure web based alternatives. Also the security angle will be used by Enterprise vendors who will point to their options to allow you to store assets on the Cloud or internally. Open Source vendors will be increasingly promoting the benefits of ‘Open SaaS’ (using Open Source on the Cloud to reduce the potential for vendor lock-in via conventional SaaS). They will also become more commercially oriented and we would expect to see the service offerings more closely resembling those of Enterprise or SaaS vendors and eager to make prospective end users aware that they offer support also. The ‘DIY DAM’ market will also offer some opportunity for Open Source vendors but it will be fragmented and demanding as the premise of this emerging segment is to save money rather than spend it. SaaS vendors will be eager to exploit the popularity of all things Cloud related to claim that their products are the future of DAM and offer greater convenience for buyers. We would expect to see ‘me too’ tablet interfaces from them also to counteract perceived threats from Enterprise competitors (as we will discuss tomorrow, however, this might be partially wasted effort). Some SaaS vendors may try to defray security and availability concerns by offering users options to store assets outside their own Cloud Platform provider. In terms of vendor competition, SaaS providers can expect to see many more market participants than the other markets and as discussed below, their own suppliers will help provide tools to hasten this trend. In 2012, we foresee the lines between all three being blurred and the distinctions gradually disappearing. We expect to see some cross-sector M&A activity with either SaaS and/or Open Source vendors being acquired by Enterprise players to allow them to compete at different market price points more effectively. Another trend set to continue in 2012 is Cloud Platform providers offering increasingly sophisticated functionality in their APIs. Last year we reported about how Amazon were offering versioning, encryption and very late into last month, object expiration. These are all core building block facilities that DAM vendors have (in the past) needed to build themselves. A Cloud Platform channel partner who is willing to exclusively offer a DAM SaaS system on that platform alone can avoid the expense of developing these solutions and leverage the API features to reduce their development costs. At this point, they would still need a core DAM system platform for the rest of the services, but as discussed earlier, open source DAM systems or existing WCM/ECM solutions simplify that task. The trade-off for Channel Partners is the complexity of moving away from their the chosen platform without the need to either re-develop all that functionality or find an equivalent API with someone else. Many might consider Amazon or Microsoft etc ‘too big to fail’, however and therefore the need to move away to potentially be a non-issue. Indirectly, it seems, Cloud Platform providers will start to compete with existing DAM SaaS vendors (a good number of whom may be their existing customers) by making it easier for others to implement this functionality at lower cost. A further possibility might be that Cloud Providers themselves might consider a ‘demonstration’ ECM suite using their API to be a reasonable way to illustrate to prospective customers how flexible their platform is. Those Cloud vendors that are using platforms such as Microsoft Azure where the platform provider offers a tool which can be used for DAM (i.e. SharePoint) are particularly at risk of competing with their current hosting suppliers. Last year we talked about the potential for DAM technologies to become more closely integrated into operating systems and the unfair advantage that would give them over dedicated applications. As we commence 2012, we still think this is possible and even increasingly likely. However, what is harder to evaluate is what will constitute an ‘operating system’ and who will control it. As discussed in our previous point, many Cloud Platforms provide the core infrastructure for a DAM. At the same time, many other products are sniffing around the edges of the DAM market and noting that their users are increasingly needing to manage large volumes of digital media for many reasons. The threat from Google to DAM vendors (especially on the SaaS side) remains substantial and it is more their lack of trust with enterprise customers and lack of existing channel partner to provide full service DAM that prevents them from dominating it completely. In a similar vein to what we discussed last year, if your DAM vendor controls your email, web searching and asset manipulation or origination activities they have a powerful advantage in terms of offering facilities to help you manage assets also. In many cases, it seems that this competition will not be direct but via channel partners who will use a core suite of services to deliver a tailored solution that might have been expensive to develop from scratch in the past. It is clear to us that while demand for DAM will remain firm in 2012, competition and choices for buyers are increasing also. If you are a prospective DAM purchaser in 2012, the advice would be to calmly consider all the options carefully before making a selection and avoid taking any recommendations or advice at face value. The balance of power between buyer and seller seems relatively evenly matched at present but careful research and evaluation of all the choices and more crucially, your own requirements is required to obtain best value for your organisation. With the range of options now on offer, it is essential that users first and foremost define what exactly they wish to achieve with DAM and strategise a phased implementation plan rather than trying to get it all done with a ‘one shot’ solution. In tomorrow’s article, we will discuss the DAM technology predictions.